Honda Motors is soon going to launch its 2012 Honda Civic in the US market. Earlier version of this car that launched in the year 2005 was a big hit in the markets there. However the current model could not garner the same response. Honda stands on the number two position in US auto market and now it is working hard and wants to come back with a bang with new generation features. Honda has disclosed the concept of the improved Honda Civic at 2011 Detroit Motor Show. 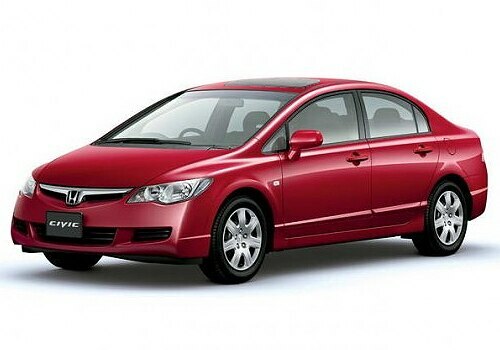 This is the most awaited sedan of Honda. The company feels that this sedan will make everyone fall in love with this model that is beautifully designed and perfectly integrated. As per the American President of Honda Motors this new Civic will be introduced not later than 2012 however, he has declined to comment on what all, this new sedan will feature. But one thing is sure that this sedan will relive the grandeur of Honda Civic 2005. The Honda had removed some features in the present model as a measure to garner cost cutting. However, this model sans the features did not go down well with the customers. So Honda Motors has learnt from the mistakes and this model will not compromise on any features. In terms of fuel consumption it’s expected to be more fuel efficient car. Honda Civic 2012 will comprises of three different engines like new Civic Hybrid employing lithium-ion battery technology which is the first time its appearing in Honda cars. It’s still not sure that the car which will enter into the Indian car market will be the same 2012 Honda Civic global model. So keep your fingers crossed as what we will see in the India. This sedan is powered by a gasoline engines which will be accompanied with a unique Honda Eco-Assist technology as per the company’s claims which helps in giving a better fuel efficiency. But with so many new cars coming to India if Honda does not have the right features it may face a tough competition here as well.